Loving the Church reminds us how glorious God's family really is, and the countless ways that you can flourish within it. In recent years the family has experienced a revival within Christian culture, but with this increased emphasis on the importance of the family, less value has been placed on God's family, the church. One of the most important relationships for all Christians is their involvement in God's family. Loving the Church lays the vital foundation for applying his glorious plan to our own lives. Enter as friends and explore together what it means to love the church. Follow the story of five friends as they wrestle with important questions about the church. 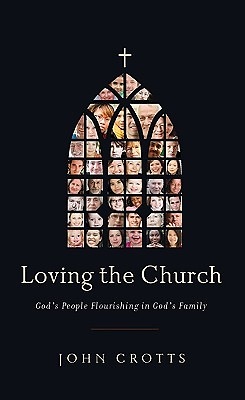 After each of their discussions about the church, the author leads the reader to understand the beauty and joy of being a member of the household of God.